You dont know what you dont know - This is a must! 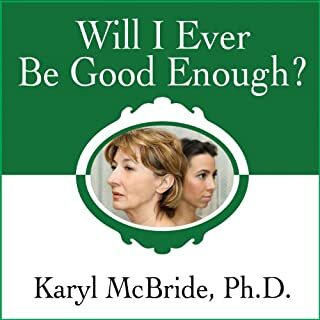 Written by: Kenneth Wapnick Ph.D.
Narrated by: Kenneth Wapnick Ph.D.
Have you ever wondered just what it would take to experience miracles as everyday occurrences in your life? 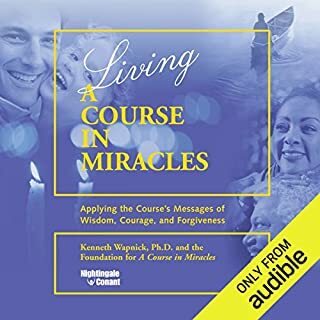 In Living A Course in Miracles : Applying the Course's Messages of Wisdom, Courage, and Forgiveness, renowned Course expert Kenneth Wapnick takes you on an extraordinary journey of spiritual transformation. 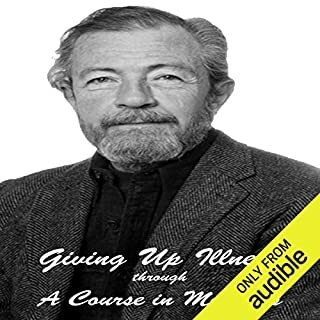 As he shares his insights, you may discover that shifting the way you perceive your life may open doors that you weren't even aware existed. 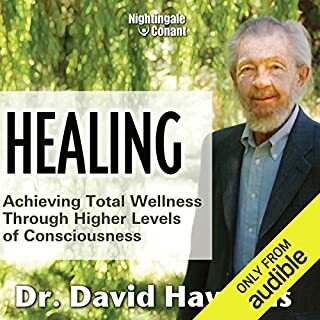 Dr. David Hawkins's renowned Map of Consciousness is one of the most innovative and useful personal development tools ever developed. 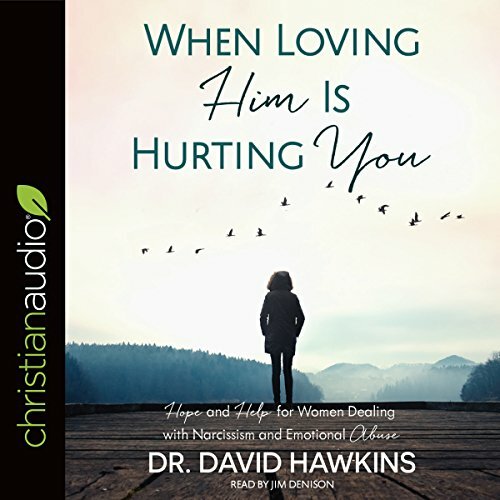 In this groundbreaking program, Dr. Hawkins shows you how to use this scientifically formulated technology to bring healing and wellness to the most important parts of your life quickly, comfortably, and naturally! 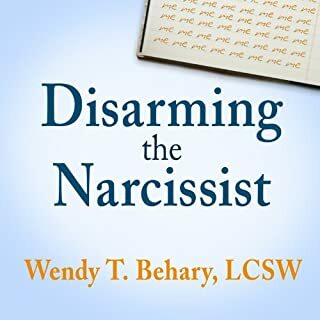 Whether the man in your life can be diagnosed with narcissistic personality disorder (NPD), exhibits narcissistic traits and emotionally abusive behavior, or has arrogant and self-centered tendencies, the emotional pain he causes you is very real. 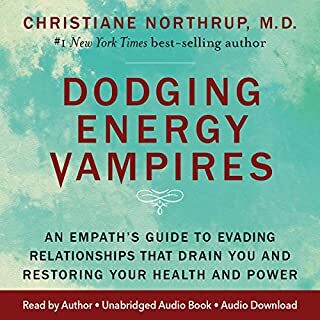 Discover the truths, wisdom, and grace you need to spark change in your relationship, set boundaries, and experience healing. So real, with multiple wow, aha, and yes that's true moments. I recommended the book to others even before finishing! I’m a Christian woman married to a “believing” man with lots of narcissistic traits. I’ve struggled to decide what next moves to make to keep myself and my children on a healthy path. I’ve been convicted about how I’ve been dealing with things as well. I wanted biblical perspective... and I got it here. I’ve read countless articles and books on the topic. But none have been as helpful, for me anyway. 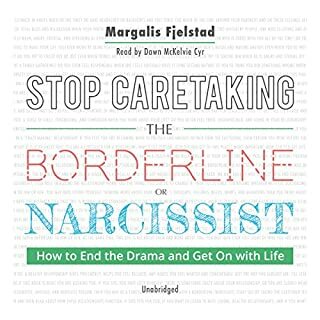 I highly recommend this to anyone struggling with narcissism in their relationships. It’s been eye opening to say the least. I have more clarity and a better take on what changes I need to make. Wow. No one can possibly understand what one goes through. 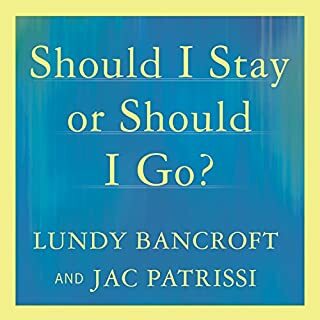 To find a book that explains my life story, while equipping me to make changes in my own life that will forever change the course of my destiny and my children’s. Giving me my life back. I am getting stronger every single day! Thank you from the bottom of my heart! Realized things about myself as well as my partner. Everyone has flaws. Together we are making changes for the sake of our marriage and family. Thank you Dr for the help. 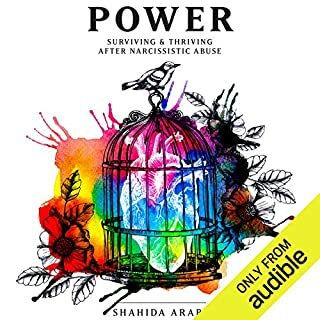 This book is a perfect match in every way to my experiences and I am shocked at how someone who hasn't experienced it first hand can portray such detailed truths in this writing. Been looking for a two sided approach to the solutions and this was it. Wonderful!! 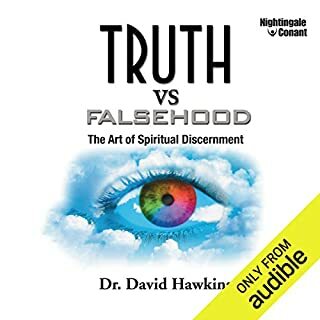 explained in a way that really radiated with me and gave me even more biblical profound insight to some issues I'm dealing with concerning my spouse and also myself. we are both accountable for our actions and reactions! I'm listening again. 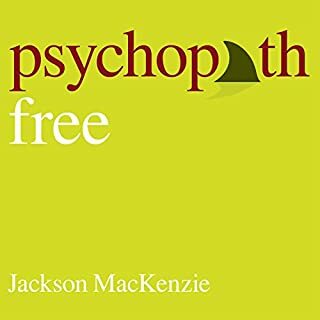 This book helped me to understand Narcissism. 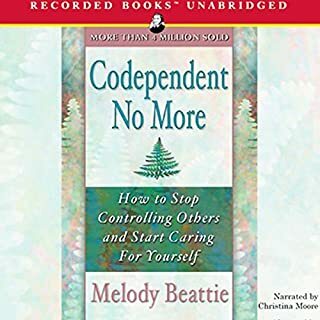 This book helped me to understand Narcissism and to see how not just my partner has these attributes, but so do I. I didn't give five stars total because I wish it would've gone more indepth about the reactions partners can have and how codependency can evolve in these relationships as well. I loved this book. it was what I needed right now. I saw myself relating to every story in some way. 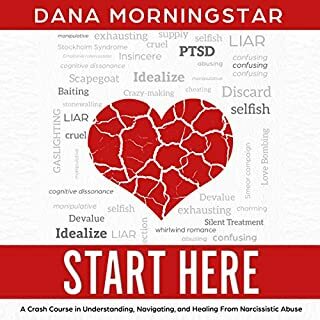 if you are in an emotionally abusive relationship or living with a narcissist this book is a 100% must read book. It helps you realize everything you are experiencing and helps you see that it's not you and it truly is the other person causing the crazy making. It helps you identify warning signs it helps you indicate signs to see if the person is really changing and it helps you to search out a path to find yourself again. 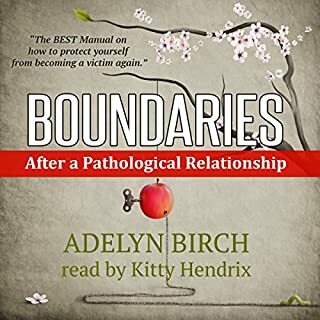 I couldn't wait to get into my vehicle and listen to the book each time! 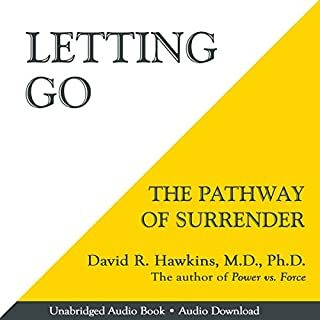 the timing of finding this book in my life was perfect in that it helped me make a critical decision to live my life and to let go of the person who is unwilling to change their behavior. 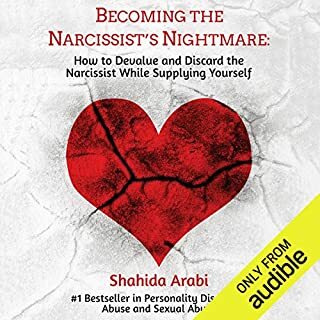 I can't recommend this book more highly if you are in a relationship with a narcissist and an emotional verbal abuser. 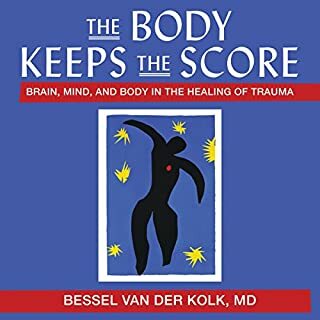 This Doctor helped me see things that I have been dealing with for 30 years, and now I am more certain about the cause of my severe depression and anxiety, not to mention other health issues. I was put in a mental hospital 4 years ago because of my husbands narcissistic behavior and have been suffering from depression ever since. I have been on one medication after another and nothing really helps. I feel like the life has been sucked out of me. 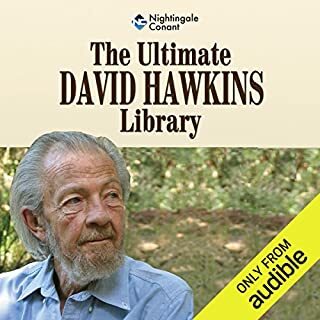 I am going to therapy, but no one has ever really explained things to me the way Dr. Hawkins does in this book. Thank you. Now I am struggling with anxiety while trying to come up with a way to get out of this dangerous situation I am stuck in! I thank God in you, Dr. Hawkins. This book is life giving. Any mother ought to read it, so any daughter can be saved from this.